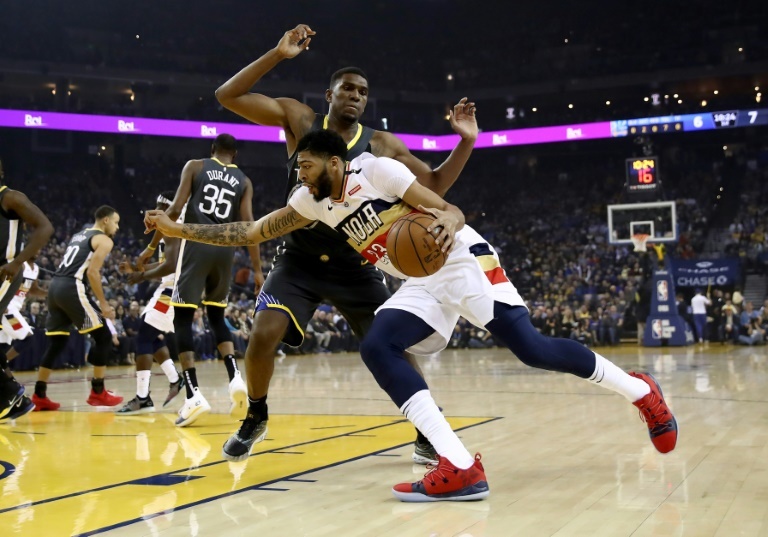 NBA NEWS - Anthony Davis has given the New Orleans Pelicans an NBA wish list of teams, according to mukltiple reports Monday, while the Los Angeles Lakers have revised their offer for him. The 25-year-old forward who helped the United States capture 2012 London Olympic gold is the most prized player up for grabs as Thursday's NBA trade deadline approaches. Rich Paul, Davis's agent, revealed his star client's trade demand a week ago, leading to a $50,000 fine for Davis from the NBA but forcing the Pelicans' hand, lest he play out his contract next year and leave without any compensation. The Lakers, Bucks, New York Knicks and Los Angeles Clippers are on the list, according to the Los Angeles Times. That leaves the Lakers, who according to ESPN had multiple conversations Monday with the Pelicans regarding Davis and have offered multiple young players and draft picks plus money as salary cap relief for the Pelicans. The Lakers, 27-26, are 1.5 games behind the Clippers for the eighth and final Western Conference playoff spot.